With more than 40 years in the food industry, Productos Alimenticios Yaestá was born with the vision of preparing authentic food, “just like home-made”. Their products are easy to make, practical and require little preparation time at home. The company’s first product was powder beans, which’s slogan was “water, boil and ready (ya está)”, which later gave birth to the firm’s brand name. Sylvia Menéndez and her brother Francisco José both agree all their efforts as a family-run business have been worth every effort. Productos alimienticios Yaestá was started by José René Menéndez Martínez, in 1973, who earlier founded the Company Alimentos René, S.A., the company that created the world-famous snacks Tortrix. Guatemalans are “hombres de maiz”, we can say that corn runs through our veins. Since the beginning, this company has focused on offering a great variety of corn-based products: tacos and other products filled with chicken, beef, pork and cheese; as well as pupusas filled with cheese, beans or loroco flower. During the 1980s, we created the corn-made nachos MUCHO NACHO. When we launched this product, on the first month we sold 50 bags! We all remember, a little nostalgic, the great satisfaction of our father. Today, with high-tech equipment, the company produce more than 1,000 kg every hour, and can ship 10 containers daily. 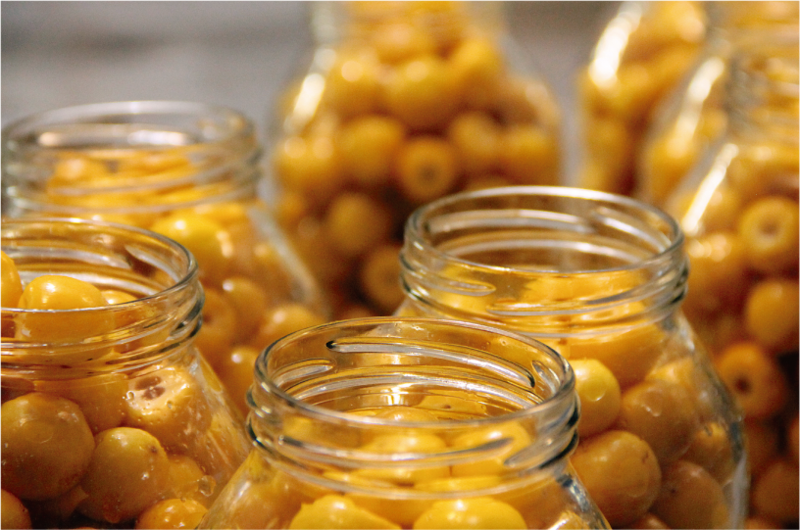 In 1998, we decided to diversify and start producing preserved foods, as well as frozen fruits and vegetables. Today, both parts of the company offer more than 500 jobs in Guatemala. We have always tried to adapt our products to trends and customers’ tastes, targeting the Latino community abroad. First, we focused on Guatemalans. Later, we tried to understand Salvadorans tastes and figure out what products they wanted, which led us to offer products like pupusas and corn or loroco ‘tamalitos’. Similar process was made with Hondurans in order to figure out the local products they missed. Ten years ago, we also started focusing on Mexicans abroad and opened a factory in Mexico. From here, we produce traditional products like pumpkin flower, huitlacoche – a type of maize fungus -, sliced poblano peppers and habanero peppers. Our main focus for exports has always been the Latino community around the world. This has helped us focus on a better selection of products. If a product is made for Latinos, we produce it. For local sales, we focus on easy-to-make products, which is one of the reasons why we are growing in the Central American market. We have wide growth plans. Each year, we established a commitment to launch a set number of new products. Guatemala is the country where we see higher growth opportunities, the highest in Central America. Our people are loyal, hard-working, kind and honest. We are ‘Chapines’, our kids are Chapines. For us, there is no other place like Guatemala. Production costs are another key area to attract investors since our local supplies are very well priced along with highly competitive electric rates, which is a key advantage for the country. In Guatemala, we do businesses seriously. We have ideal weather conditions and it is why we have an agricultural production almost all year long. We have coasts in both the Pacific and Atlantic Oceans, which allows us to export our products to virtually all countries, as well as good freights to ship them. Yaestá works on a culture of constant training and development of its talent; in addition to automation of processes and strict quality controls. The company possess several international certifications and supply big drive-thru and fast-food restaurant chains. These clients audit the company on topics like social corporate responsibility, quality and the environment. We own a factory of appetizers, frozen and preserved fruits and vegetables, fruit pulp in Guatemala; added to a preserved food factory in Puebla, Mexico. We export our products to El Salvador, Honduras, Nicaragua, Costa Rica, Panama, the Dominican Republic, Mexico, Canada, the United States, Spain, Italy and Germany. We have also made shipments to Greece and the Netherlands. With more than 40 years in the food industry, Productos Alimenticios Yaestá was born with the vision of preparing authentic food, “just like home-made”. Their products are easy to make, practical and require little preparation time at home. The company’s first product was powder beans, which’s slogan was “water, boil and ready (ya está)”, which later gave birth to the firm’s brand name. Sylvia Menéndez and her brother Francisco José both agree all their efforts as a family-run business have been worth every effort. Productos alimenticios Ya está was started by José René Menéndez Martínez, in 1973, who earlier founded the Company Alimentos René, S.A., the company that created the world-famous snacks Tortrix.